The Sorel Flurry™ is a classic kid's boot made to tumble through the snow and skip through slushy puddles. This soft, cozy boot features a water/wind-resistant textile upper and injection molded waterproof rubber shell for full weatherproofing power. A built-in gaiter with easy-close barrel lock seals up the cuff to prevent any leaking or dripping. The washable inner felt boot provides enough warmth to keep the toes happy in temperatures straight down to -25 F. Multi-directional lugs on the outsole improve traction on the slick, wintry ground. "Sorel flurry boot, my toddler wears an 8 shoe, ~7.5” long foot. The sizing chart is confusing and saying youth size 1-2. Can he wear the size 9 boot? I want them a little on the big side"
"Thank you for your inquiry. 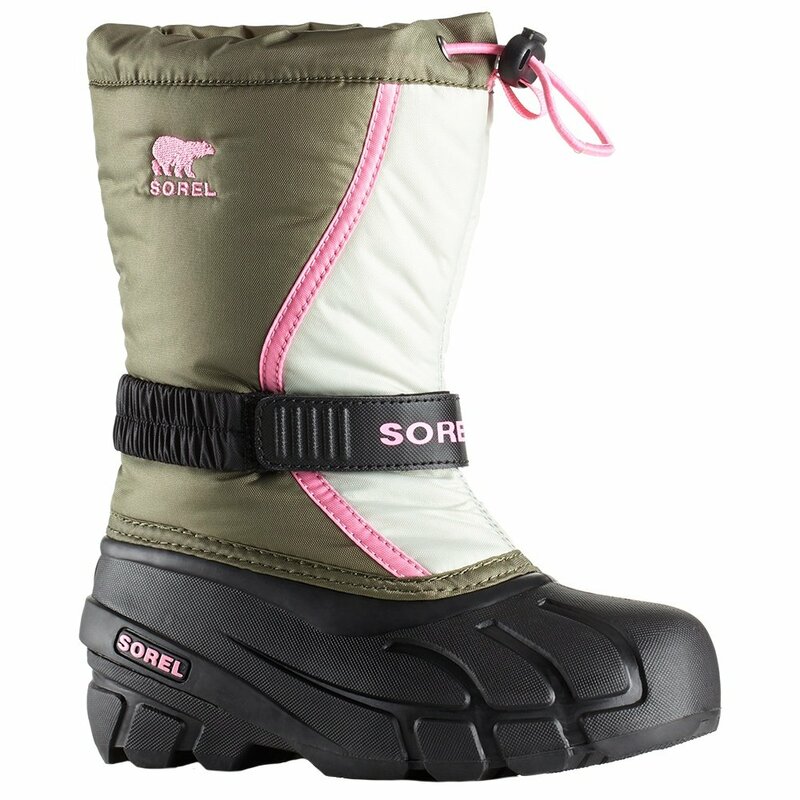 The Sorel Flurry Boots (Kids') is for children 8 and up. The Sorel Flurry Boot (Little Kids') are suitable for your toddler. We hope this information helps! "